Join us this Saturday, as we are happy to host author and designer Liesl Gibson, the woman behind Oliver + S sewing patterns and the new book, Little Things to Sew. 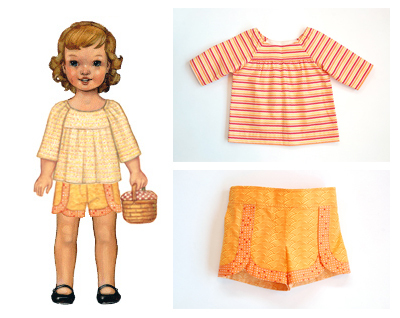 This book is full of the-most-adorable sewing patterns for children. 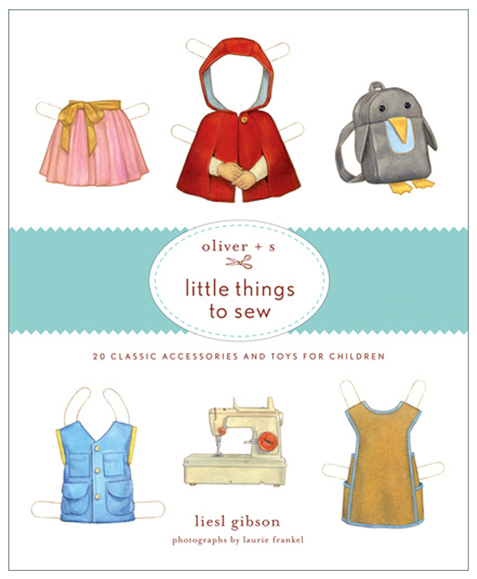 With it's stunning photography and inspired projects, this book is perfect for anyone who wants to sew cute items for cute kids! 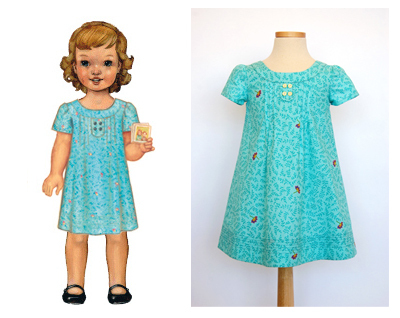 Liesl will be signing copies of her book and we will have the brand new Oliver + S patterns available for purchase. 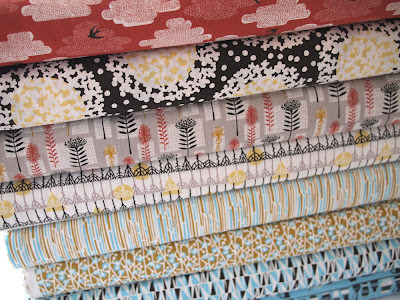 Liesl's newest fabric collection, Modern Workshop, will be here too! Come by for treats and fun times! 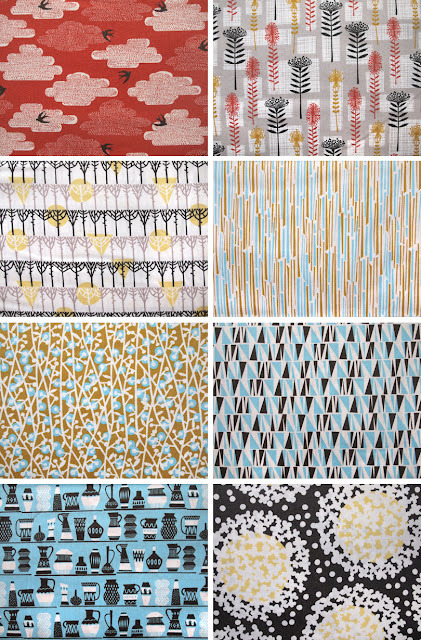 There are too many cute fabrics coming out! 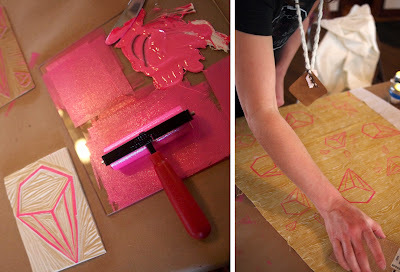 What's a crafter to do!? We are totally inspired to sew our little hearts out by these amazing new fabric collections! British designer Aneela Hoey's debut collection features her adorable illustrations of "pips" messing about on scooters and swingsets. The colors are fantastic--reds, greys, pinks and blues. 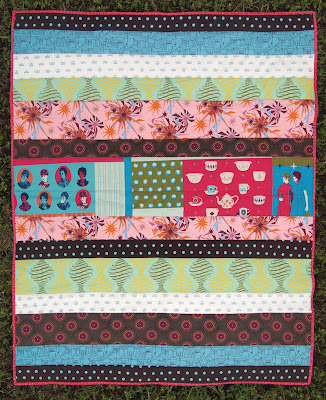 I'm imagining making a sweet little quilt with white sashing (but I'm a little quilt obsessed lately.) 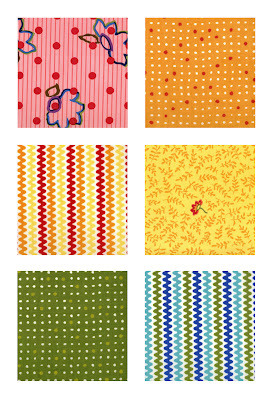 The pips would also make cute tote bags and the spots and squares would make a fantastic shirt! 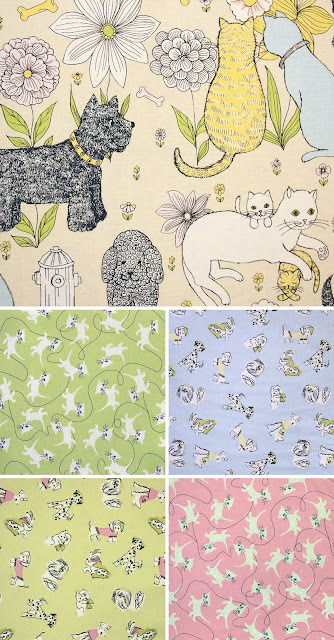 Anna Griffin's Fifi and Fido prints are adorably retro in their soft 1950s colorways of mint, pink and baby blue. 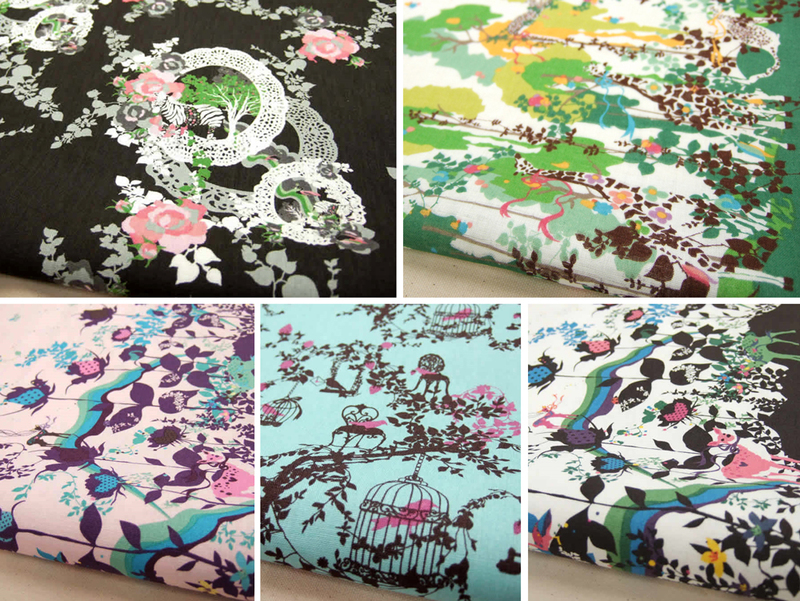 A fancy pet bed or an a-line skirt would be equally fabulous out of these prints! 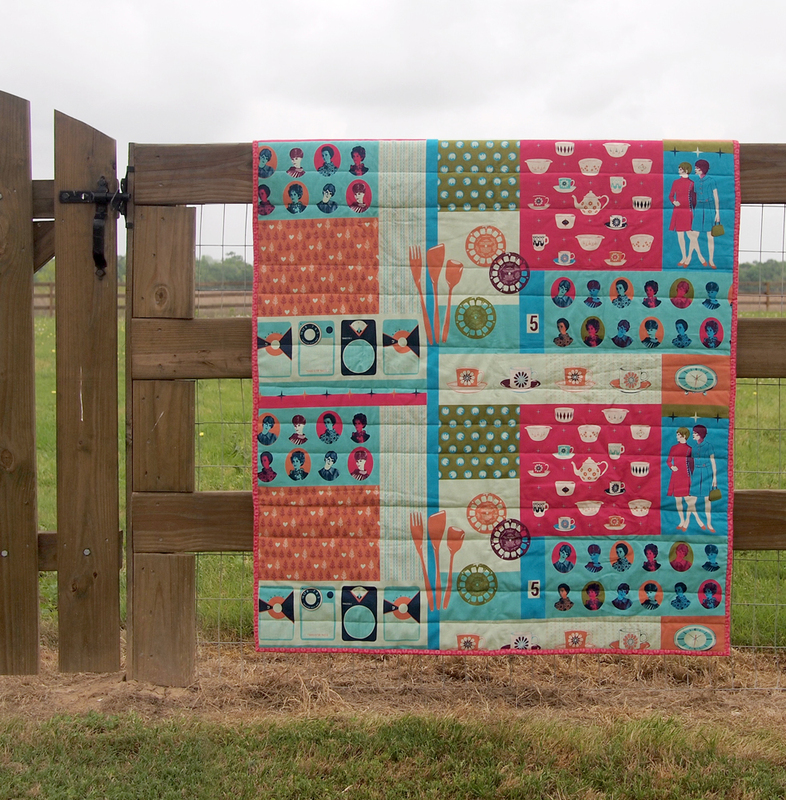 Aviary 2 from Joel Dewberry is a reworking of his amazingly popular Aviary collection. The new colorways of these modern prints are selling fast, so come by soon if you want some of this collection! 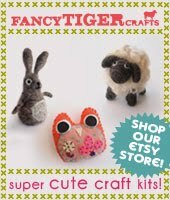 Do you like your deer to be adorned with bows and your zebras to be prancing on lace doilies? 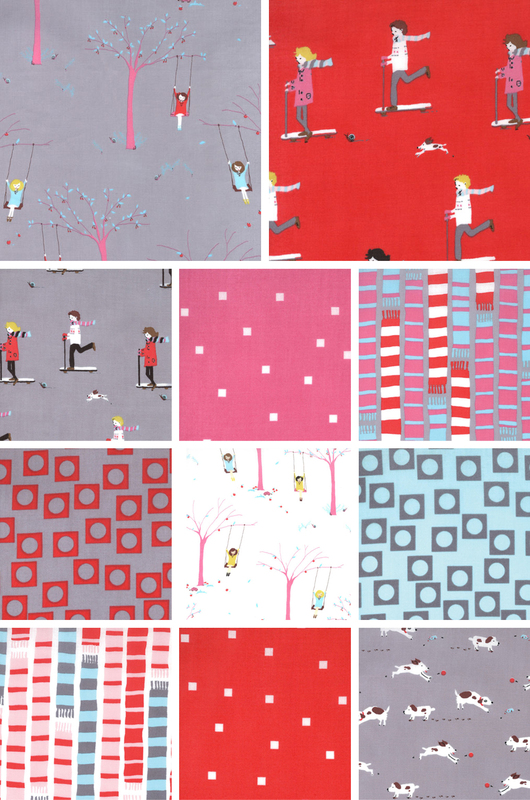 Well, we just found out how awesome that can be with the new fabric collection from Kayo Horaguchi! 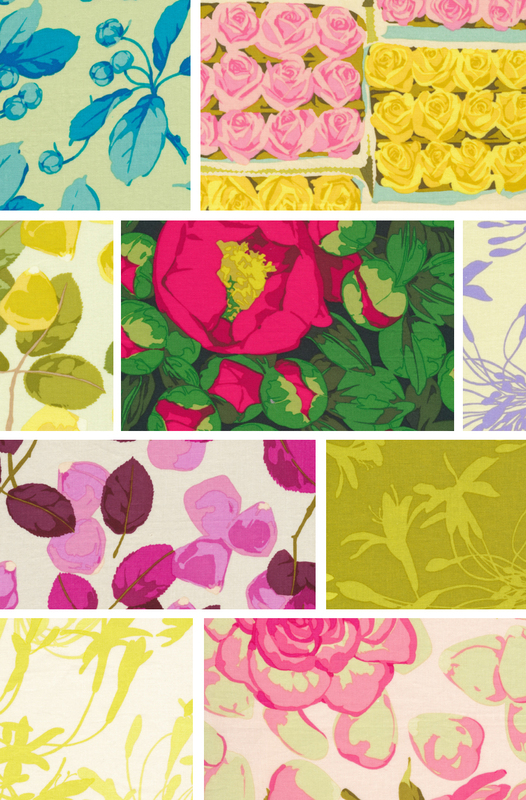 Make anything from this fabric and it is guaranteed to make everyone swoon! 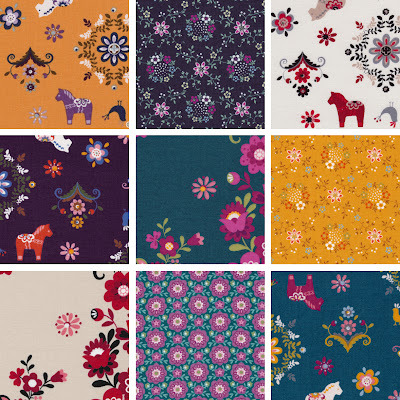 The newest collection in Lecein's My Folklore series is absolute retro-Swedish cuteness with Dala horses and Nordic folk flower patterns. Another collection inspired by fabulous 1950s style is Martha Negley's Flower Market. 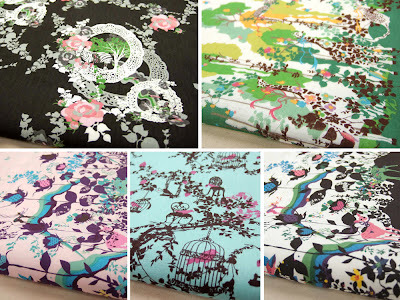 The prints are bright and the scale is large, filled with roses and peonies. They would be beautiful sewn up into a full skirted dress, or one of the new classically styled Colette sewing patterns below! Eddie is a recent convert to the world of quilting and has quite taken off with it. 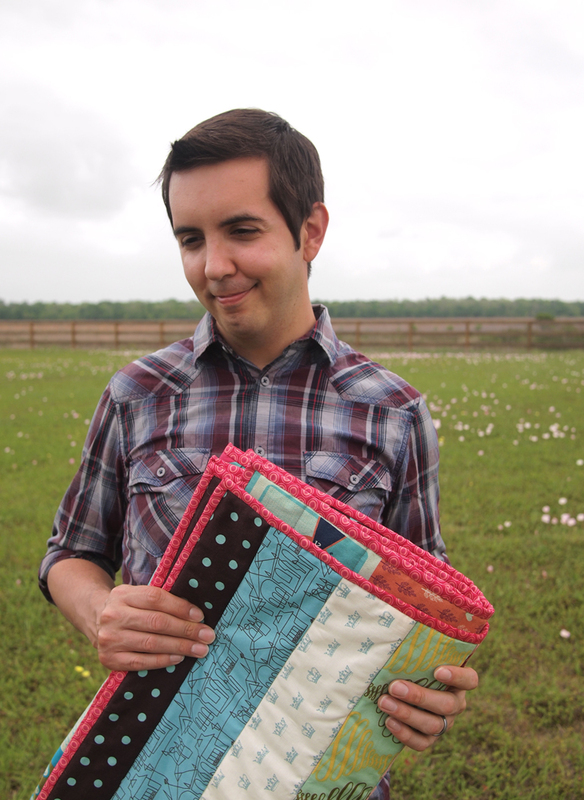 He just finished his first quilt and it looks amazing! 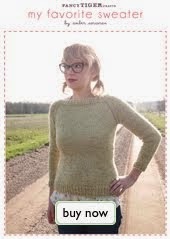 You might recognize Eddie from such modeling stints as the Daybreak photo from my fall knitting bonanza. He is my favorite guy in the world and also happens to be my husband. I'm a lucky lady. 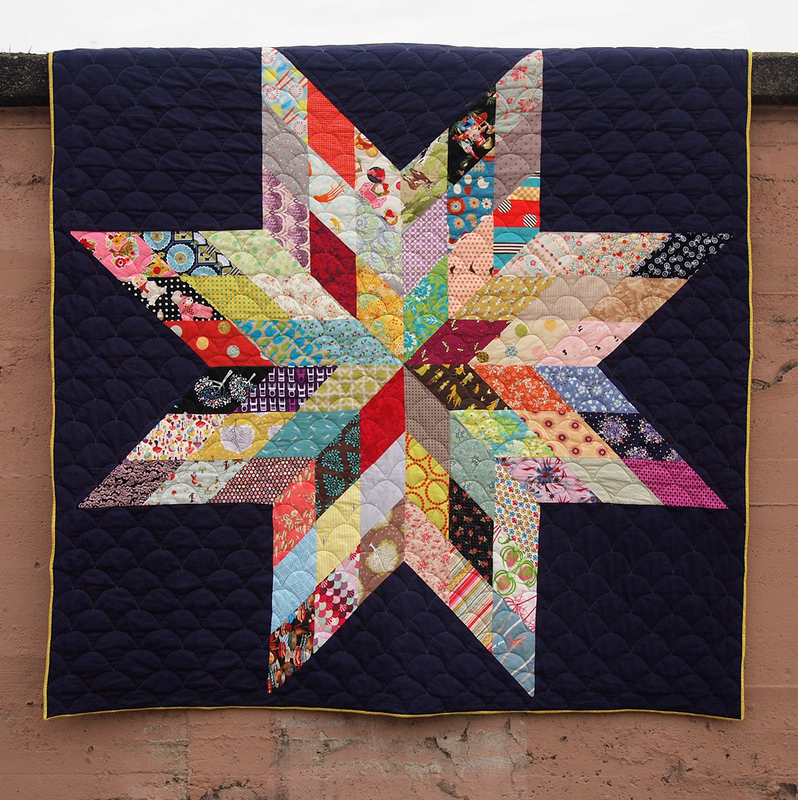 1)What inspired you to make your first quilt? My sister had her first baby and I wanted to make something special for my new niece. 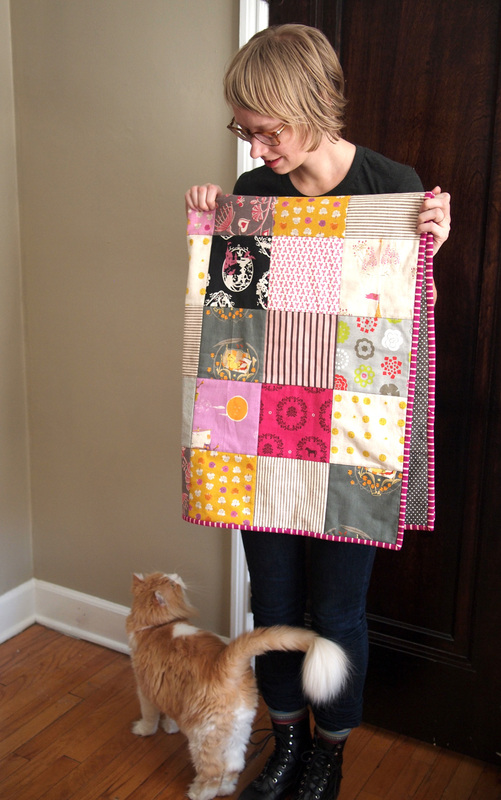 This was my first project after Sewing 101 so I was really nervous. 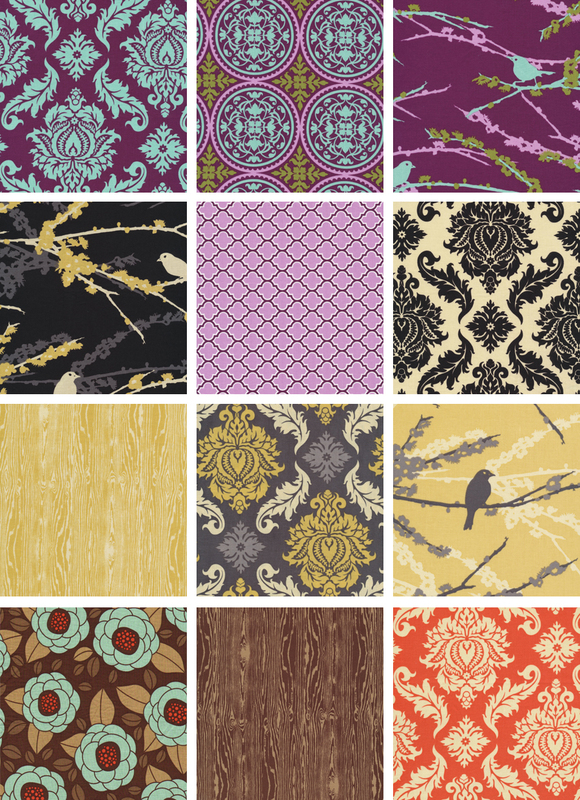 2)How did you choose your fabrics and pattern? Well, I wanted to do something fun but slightly more mature than a conventional baby quilt style. 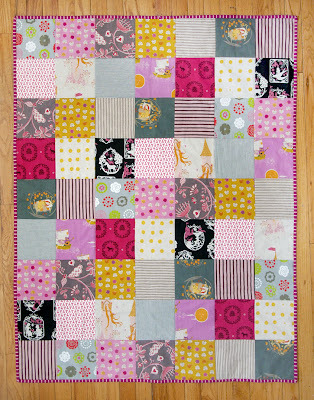 I got the pattern idea from a quilt made by one of the lovely Fancy Tiger ladies, Jessica. It was strips of random scrap fabric sewn together but I wanted something with a more specific color scheme. 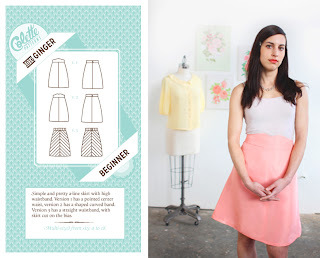 3)How did you learn your amazing sewing skills? I took Sewing 101 at Fancy Tiger with Christina and loved it. 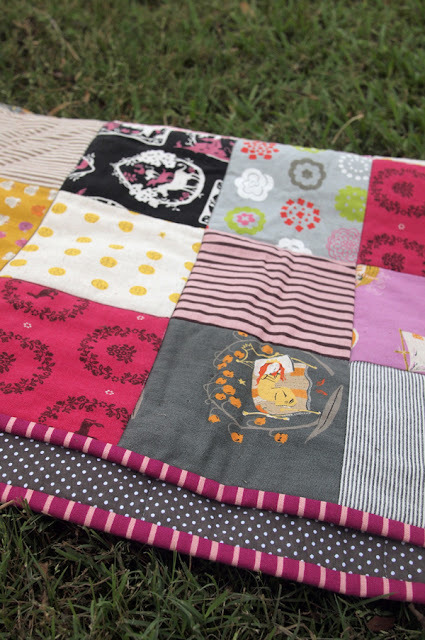 Starting from scratch I learned how to fully operate a sewing machine and how to use it for specific sewing projects. 4)What is your favorite thing about sewing or quilting? The progress is so much quicker than when I knit. Plus, I can just wrap my head around what has to happen so much easier. 5)What do you think your next project will be? 6)What is your favorite animal? Hi, it's Dan here. 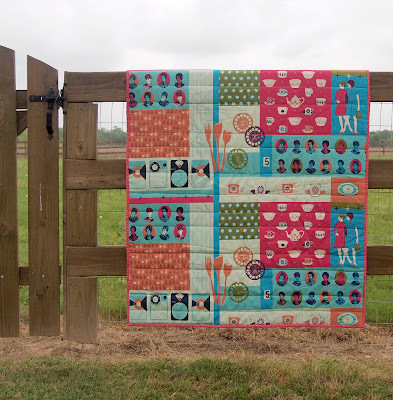 I just finished a springtime project that I wanted to share. Sometimes it is necessary to take a break from busy schedules and large projects to make a quick and rewarding end product. 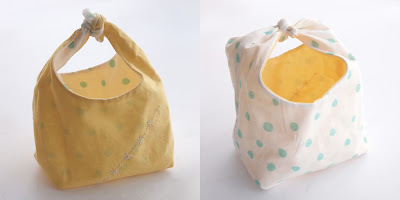 This simple lunch bag pattern is the perfect thing! 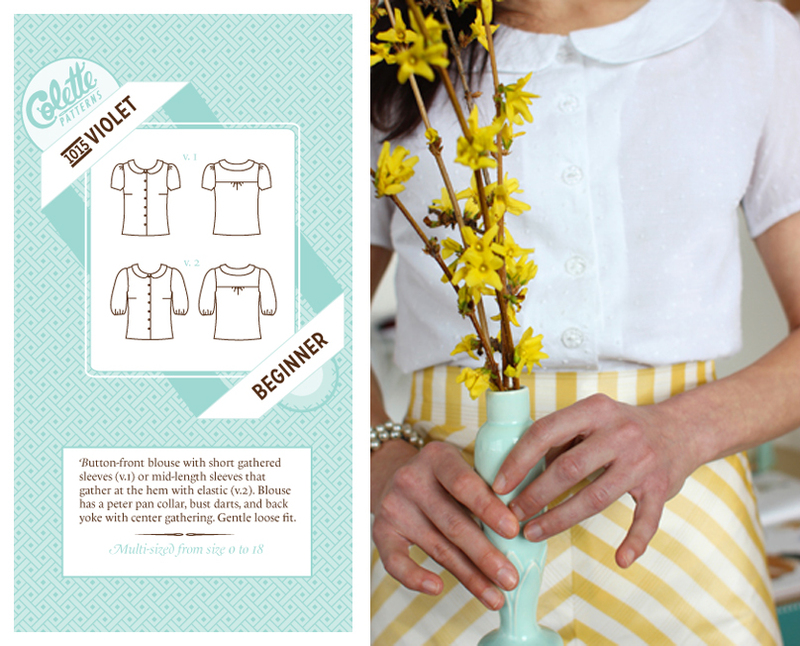 This project would be an adorable handmade "basket" for a child to use during an Easter egg hunt. It is great as a reusable alternative to throw away lunch bags. 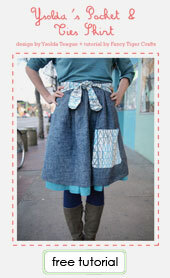 Might I suggest one made with natural linen on the outside, and undyed cotton muslin for the lining? 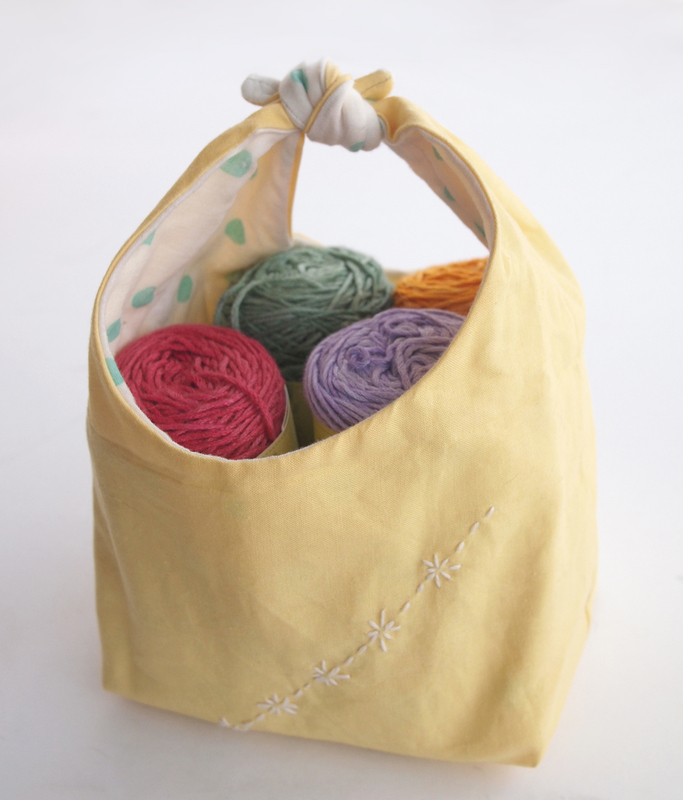 Children will appreciate a lunch bag made out of their favorite fabrics and colors. This pattern is from the book, Linen, Wool, Cotton, originally written in Japanese, but now available in English. 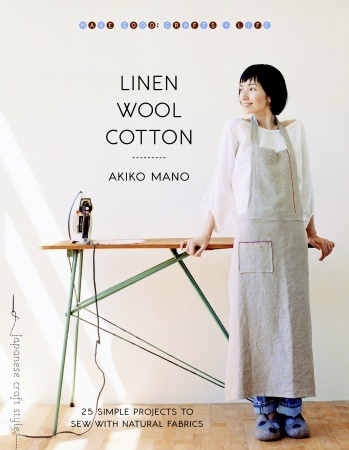 The book focuses on using natural fabrics in modern applications and is beautifully photographed. The projects are mostly simple and extremely inspiring. The finished bag is completely reversible, with all of its seams hidden, and is a perfect introduction to making reversible or lined bags. 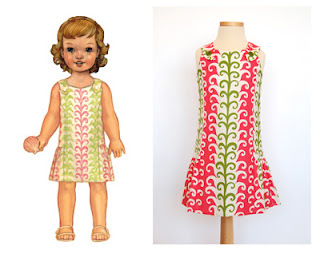 It lends itself nicely to most fabrics and prints. For the lining fabric, I decided to use a double gauze print by Nani Iro, one of my favorites. For my main fabric, I used a complementary Kona cotton solid. It just so happens that I also love Sashiko, a Japanese embroidery technique. 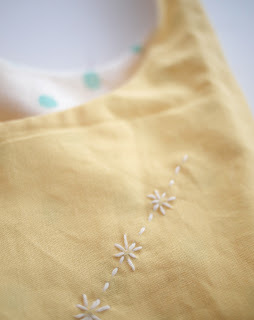 It is a simple running stitch that can take any handmade item to the next level of uniqueness with little preparation. I used a simple little Sashiko motif to personalize my bag. After assembling and adorning a few of these lunch bags I am now ready to experiment with the pattern and techniques I learned to create larger reversible bags. 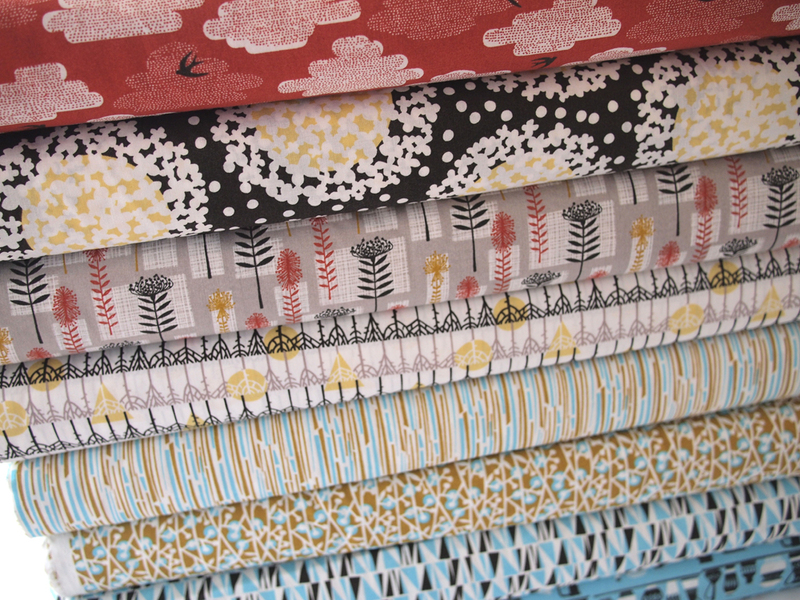 Cloud 9 Fabrics is a two-woman company known for their adorably designed, eco-friendly organic cotton prints. 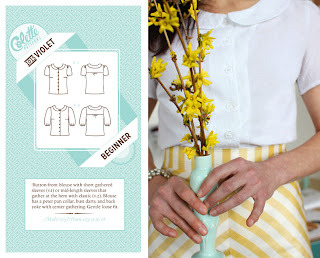 We love that as they've grow they are beginning to print collections from independent designers. The first in the series is Cut Out and Keep from South African illustrator Heather Moore. We love the graphic prints and the earthy colors palette! 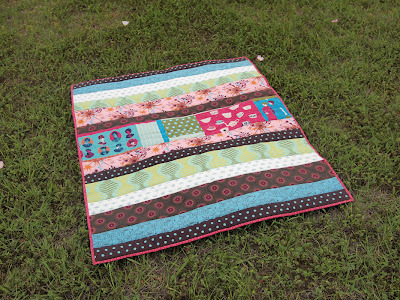 I'm especially proud of this little quilt since it is the first time I've quilted the layers together myself. 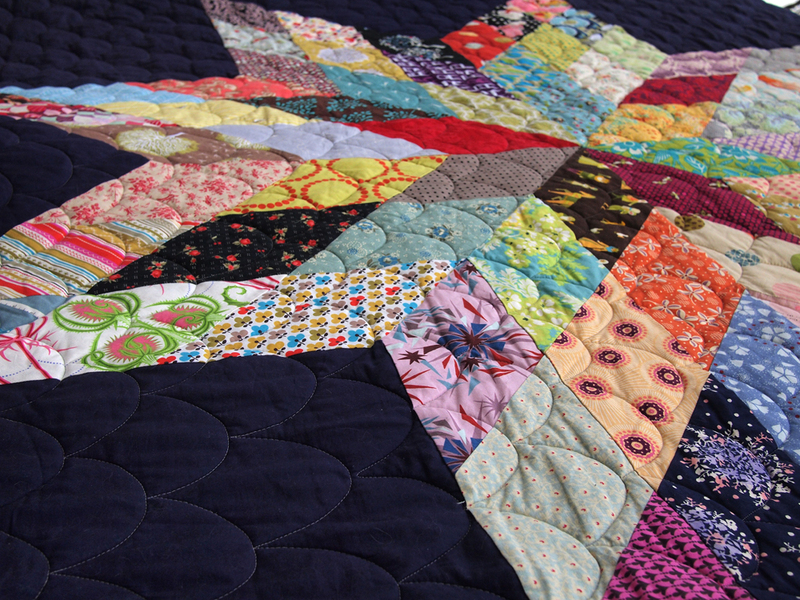 I usually send larger quilts out to a long arm quilter. Since this one was small enough to quilt on my home sewing machine I decided to give it a go. 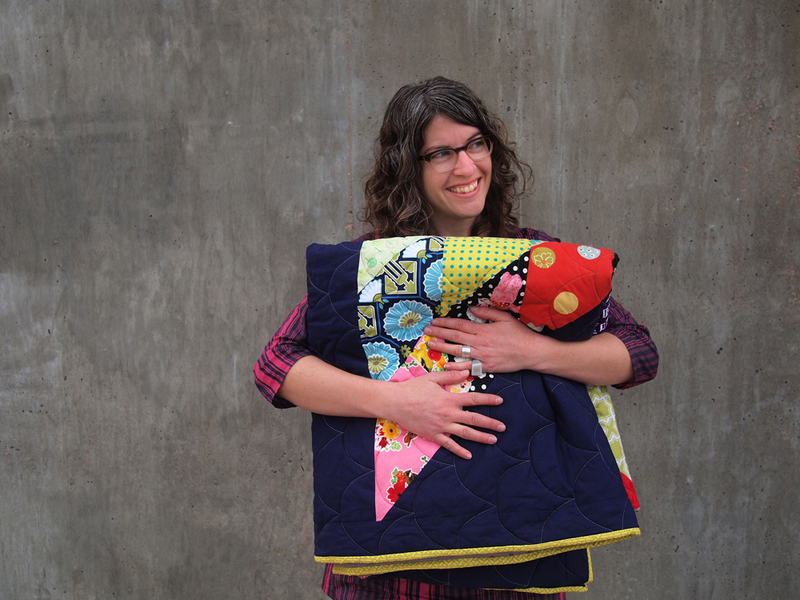 With some tips and encouragement from our quilting instructor, Jessica, everything went smoothly. I quilted it by stitching along the seams of the patchwork, stitch-in-the-ditch style. The adorable prints of Heather Ross's Far, Far Away collection inspired me, full of imagery from fairy tales. 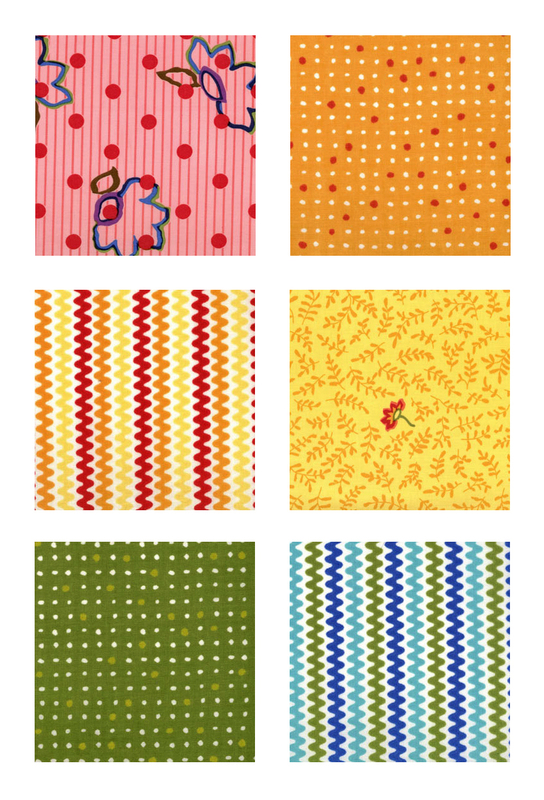 I added a Kokka storybook print, Echino and Isso Ecco fabrics. 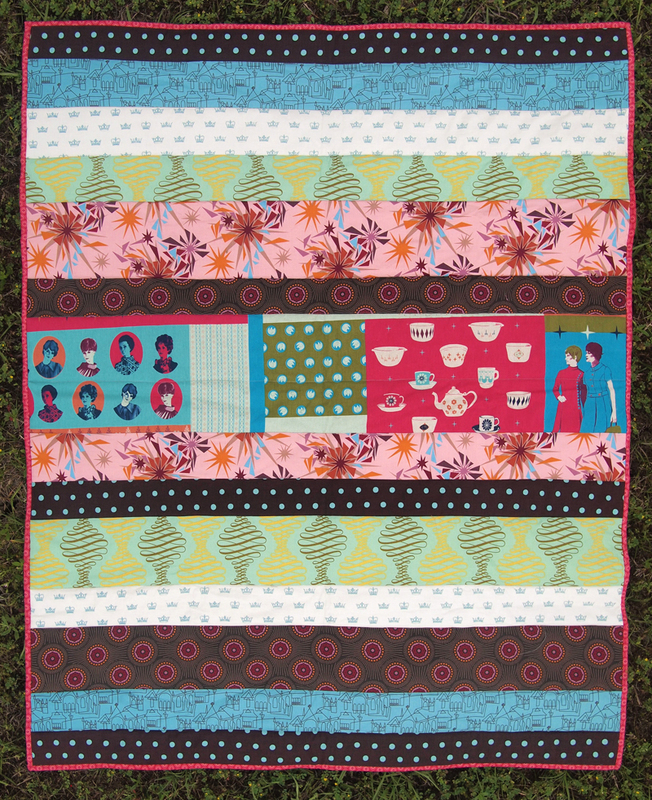 There are altogether six stories in the quilt. Can you find them all? 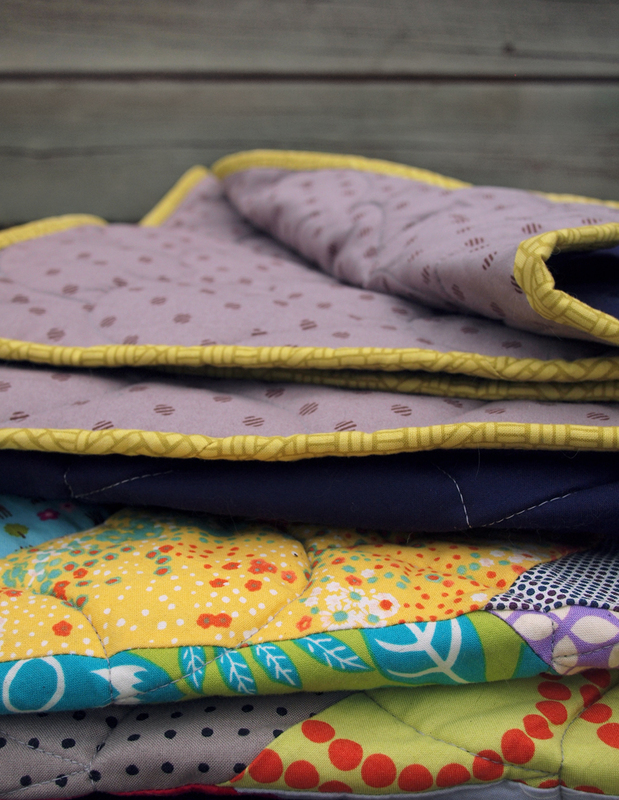 The back of the quilt is a soft organic cotton flannel from Cloud 9. Perfect for wrapping cute babies up in. Welcome, darling sweet girl! New Pico Accuardi Heritage Breed Roving--Naturally Dyed! Pico Accuardi kettle dyed roving is here! Based in Portland, Oregon, Pico Accuardi is a dye company you may know of from their amazing sock yarns. 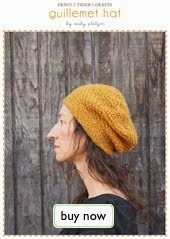 Jaime knit her fabulous Daybreak from their naturally coffee dyed Stumptown colorway. 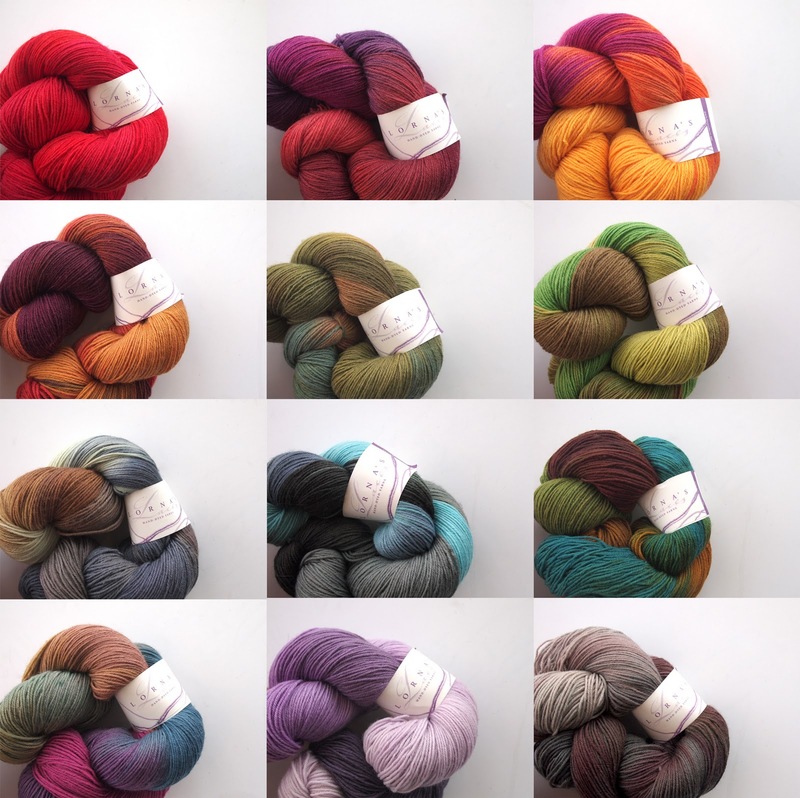 We love their inspired dye combinations and were thrilled to discover that they are naturally dyeing heritage breed wools for spinners. 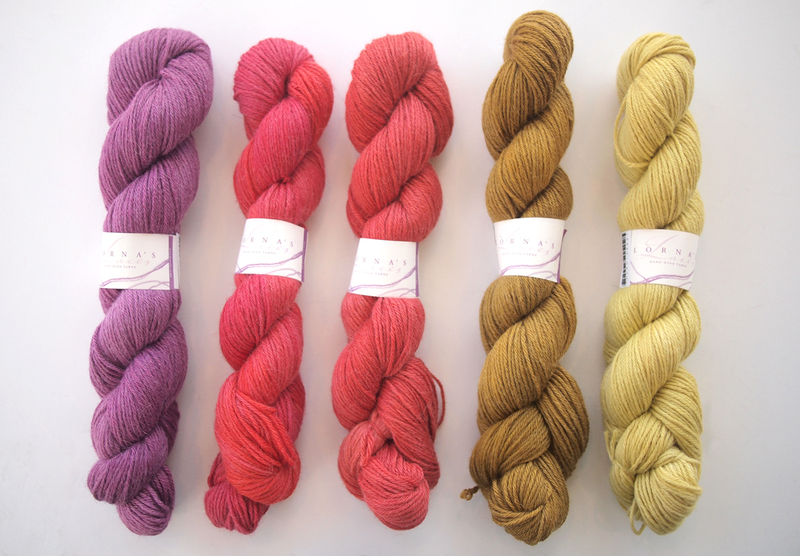 The Fiber Exploration Kit is a great way to get familiar with the variety and texture of different wools. 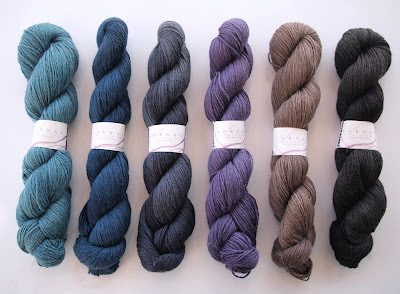 In the kit you receive naturally dyed fiber from Masham, Polworth, Wensleydale, Gotland, Corriedale, Shetland, Falkland, Finn and Blue Faced Leicester. 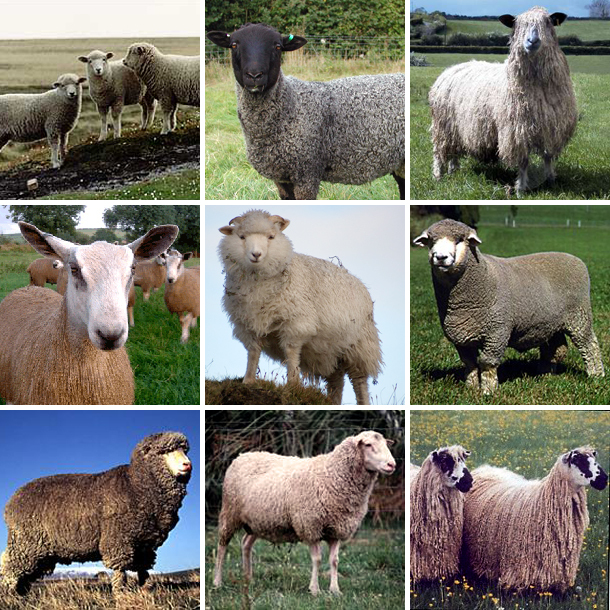 It is amazing how different breeds of wool can be so different! 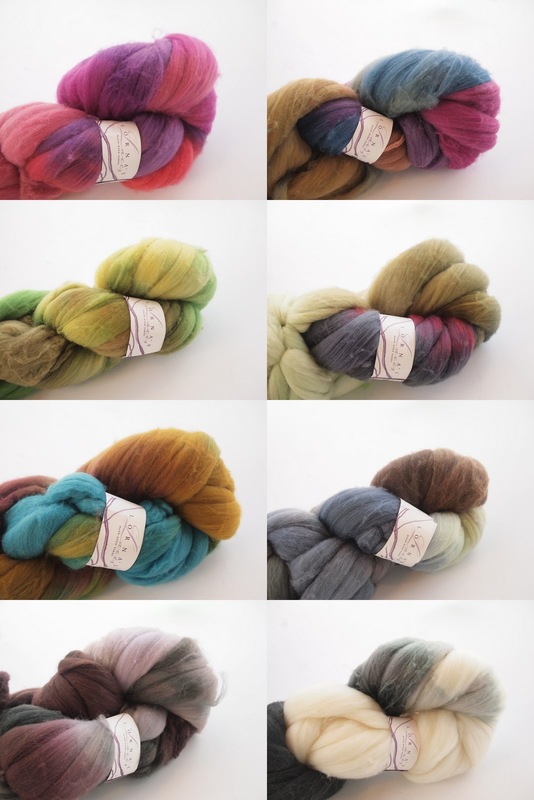 Silky or springy, soft or wiry, these wools are a rainbow of colors and great for needlefelting or spinning. 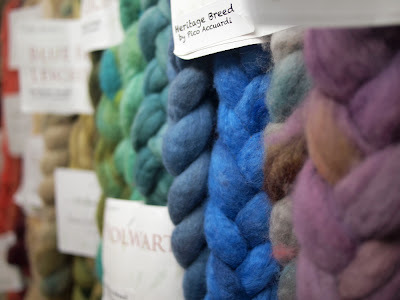 The various heritage breed wools also come in four ounce braids. 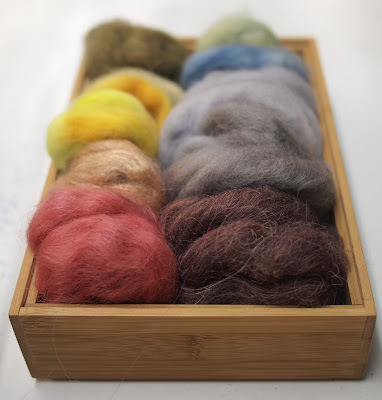 These are great for hand spinning and wet felting. There is enough here to finish an entire project such as a hat or scarf. We had loads of fun at the Makerie Retreat this past weekend! 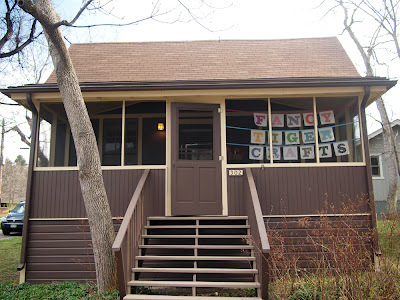 We took amazing classes, ran the first ever Fancy Tiger Crafts pop-up store (in one of the adorable cabins at Chautauqua!) 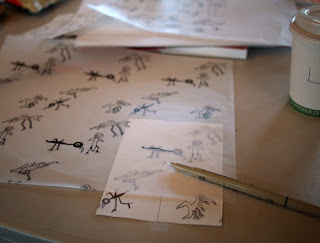 and got to meet lots of inspiring and crafty folks. Chautauqua was a beautiful and relaxing setting and we squeezed in lots of hikes and outdoor time over the lovely weekend. It was so much fun making a mini Fancy Tiger in our little cabin. Our store was tiny and adorable! 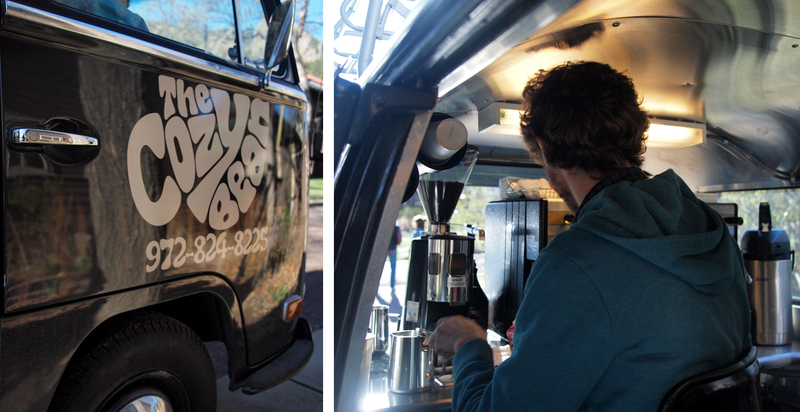 Boulder folks, we miss you already and hope to see everyone again at our pop-up store next year! 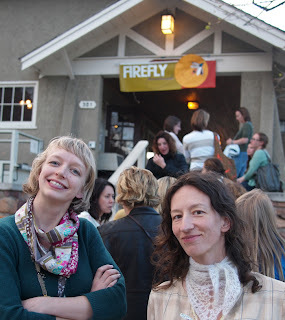 Jaime and I both took classes from the talented and darling Lizzy House. In her Pattern Design class I learned how to create a repeating pattern for printing on fabric. 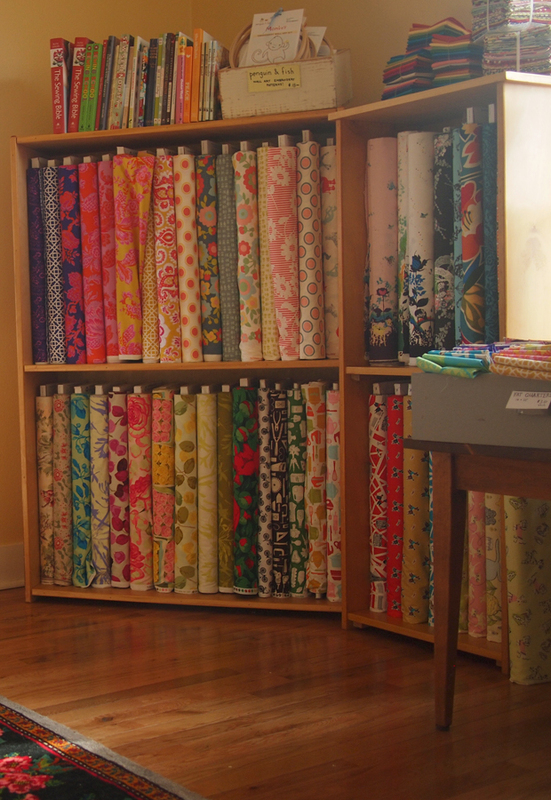 We spent the class working on different types of repeats, talking about what makes a successful fabric collection and finished up by creating our own first line of fabric. 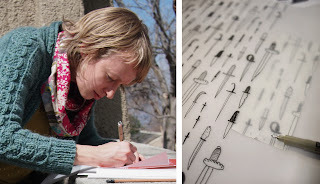 My first fabric collection, Dangerworld, features daggers, swords and snarling beasts! On Saturday, Jaime took Lizzy's block printing class. 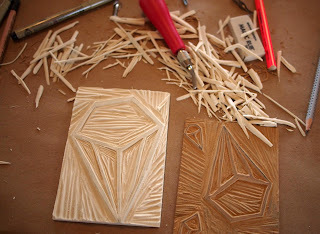 First she designed 3 different blocks and carved them out. The second part of class everyone was able to print their designs. Jaime choose to print on top of prints for a crazy print explosion! 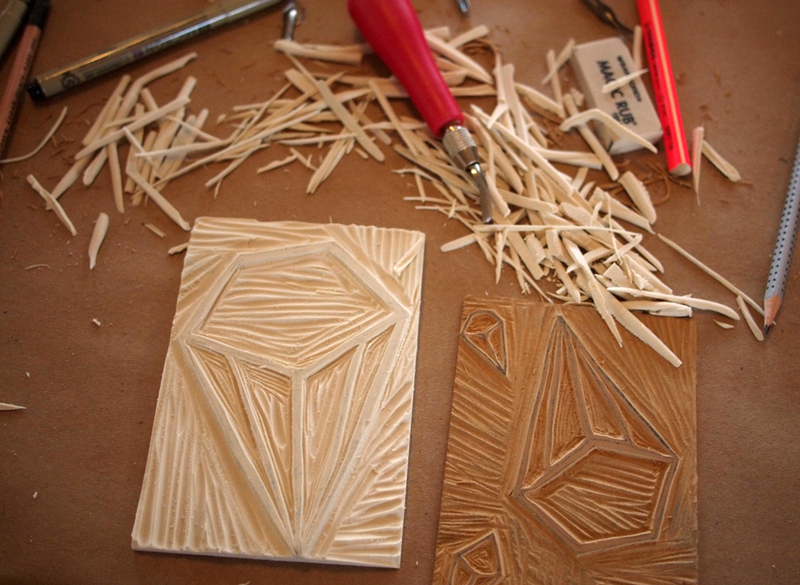 The first print was a sweet diamond pattern on the new Joel Dewberry yellow woodgrain print. 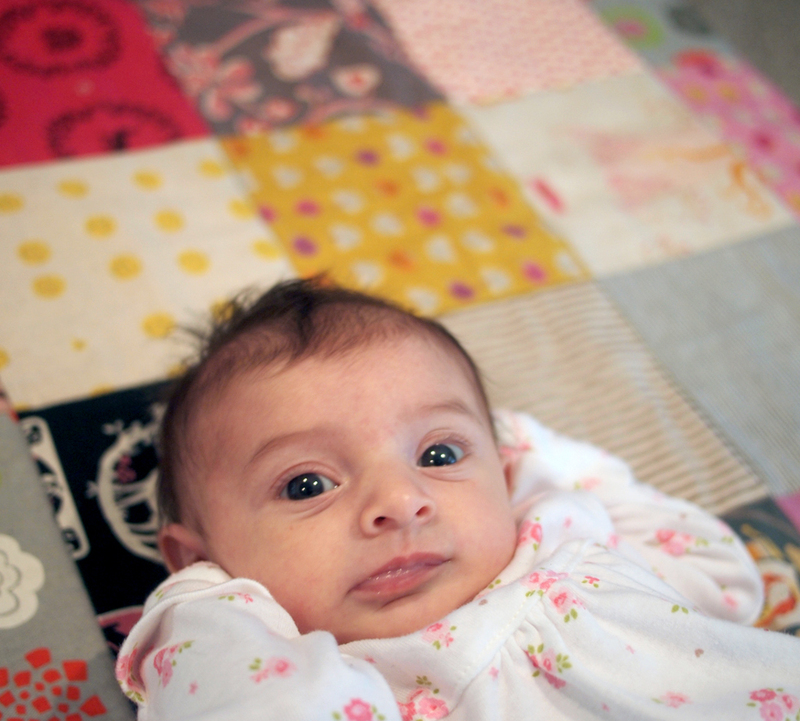 Lizzy approved of the finished fabric and taught us the phrase "bomb.com" - thanks, Lizzy! 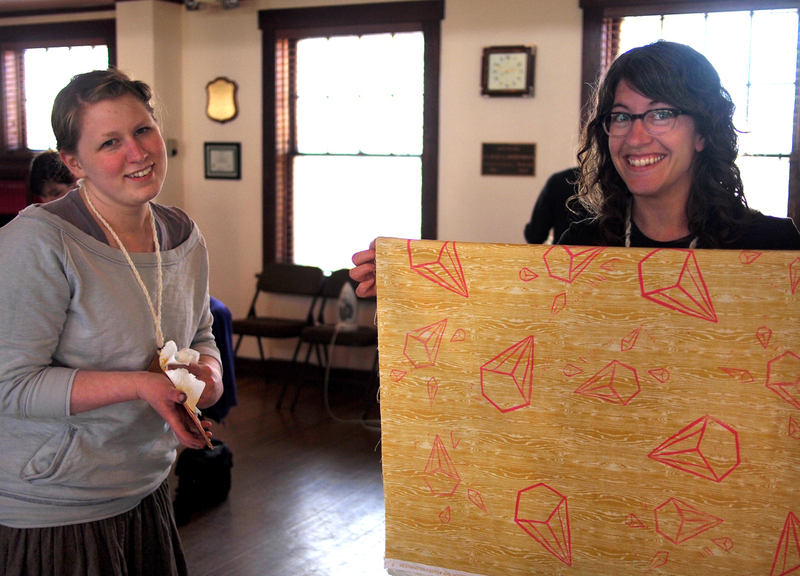 The students in class came up with all sorts of amazing prints, and one student event experimented with block-printing a repeating design. Jaime's second print was inspired by my Dangerworld collection and involves pink daggers on a yellow French General bird toile. Danger! One class I really wished I could take was Jessica Hernandez's shoe making class. 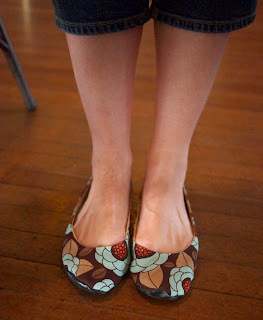 Check out these adorable flats made from a new Joel Dewberry fabric one of her students whipped up! 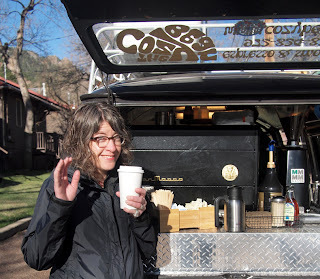 The Makerie was quite the delicious weekend, with local food trucks catering some of the meals. Comida's hot pink truck served up some fantastic fish tacos. We are totally infatuated with The Cozy Bean's VW bus esspresso-mobile! Holy cuteness! 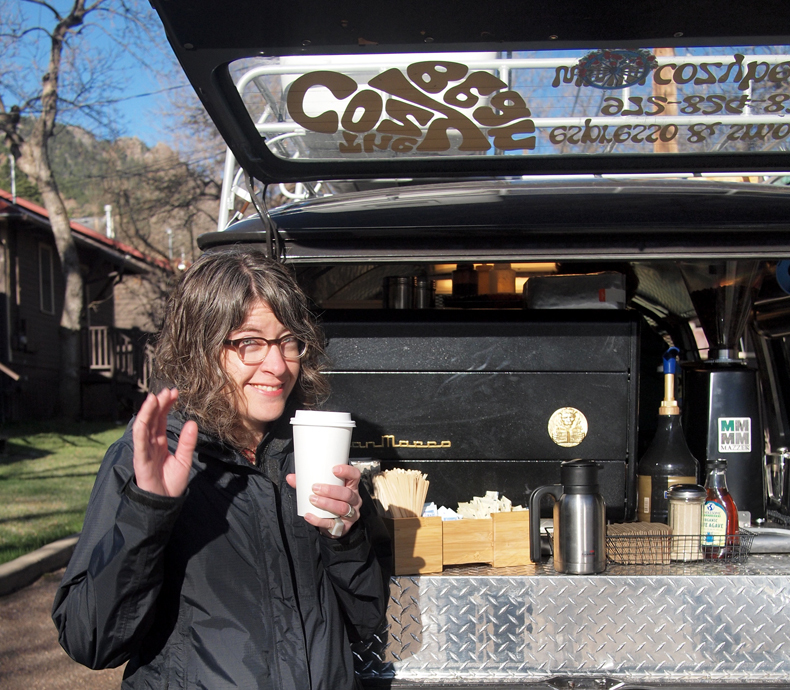 It might just be the best day ever when you wake up with The Cozy Bean parked outside of your cabin. 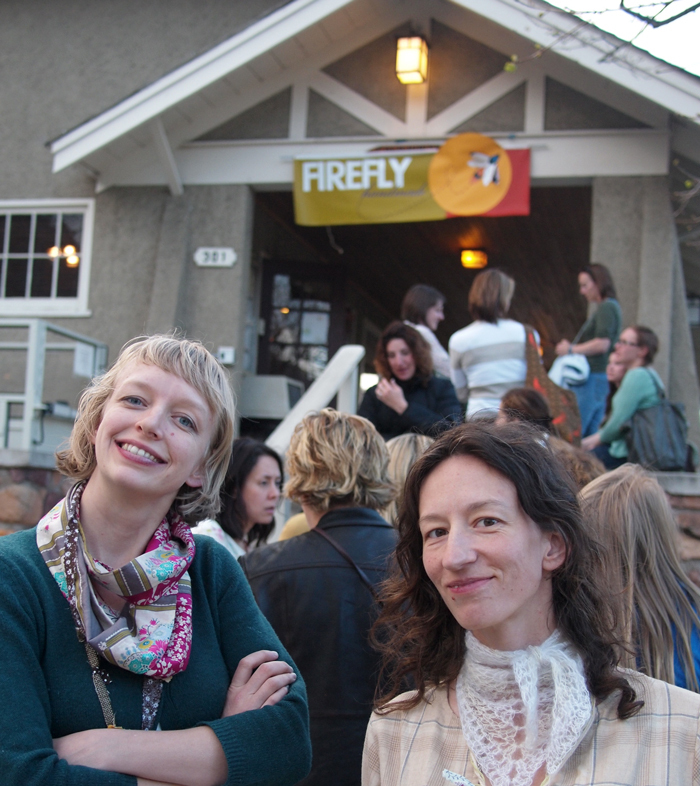 The Firefly Market finished off the weekend with a craft market that featured some of our favorite local handcrafters! 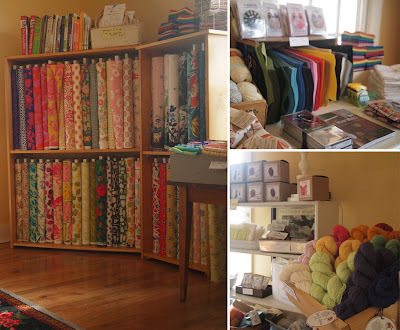 We were thrilled to be at this craft market as super excited shoppers. We even received goody bags as some of the first folks through the door. Thanks for an amazing weekend Makerie - we can hardly wait for next year! New Lornas Laces! Honor, Shepherd Sock and Shepherd Wool Top! 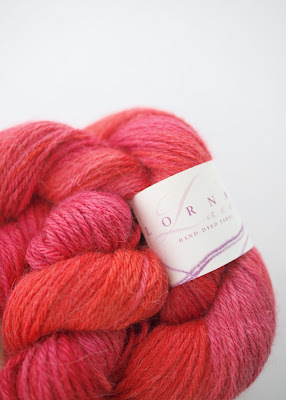 Lorna's Laces is a yarn company with a cult following among knitters. The dyers behind this amazing company give discernible attention to detail--the colors are carefully placed on each skein to interact with each other in wonderful ways. 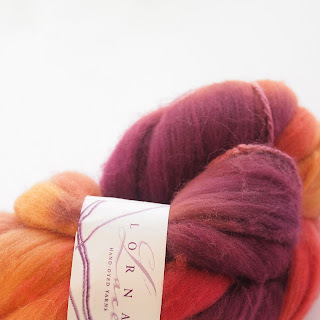 We love winding Lorna's Laces into a ball for customers and seeing these skeins of loveliness opened up on the swift--the gradation of colors is just stunning! Lorna's Laces is most famous for their Shepherd Sock, a beautiful superwash yarn that sock knitters adore. This sock yarn doesn't stay in the store for long! 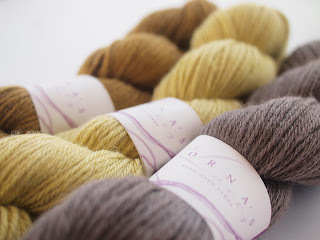 Lorna's newest addition to their yarn family is Honor, an exquisite alpaca/silk DK weight yarn. We are carrying Honor in tonal, single-hued shades, perfect for pretty garments. Jaime is already casting on for a new cardigan in Ysolda's Red, a color designed for Lorna's Laces by the lovely Ysolda Teague. Hand-spinners, we are totally thrilled to be carrying Shepherd Wool Top, a superwash, super soft, hand-dyed wool top. The beautiful palettes created in Lorna's dye pots are used to dye these hanks of wool into the same gorgeous colorway that their yarns are known for. 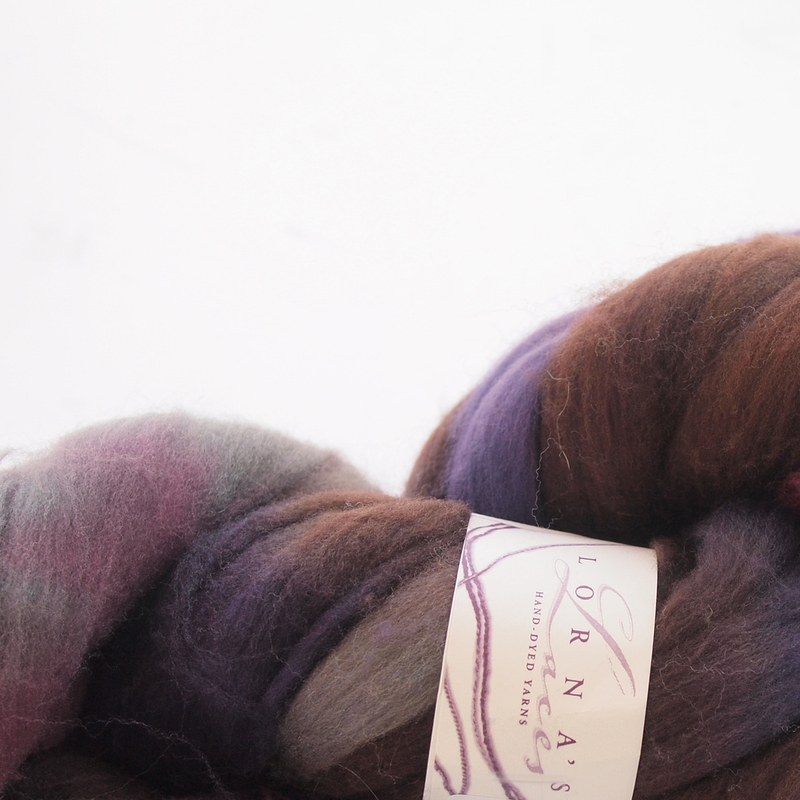 Spin them up into sensationally hued and washable yarns of your own design.